Order within 1day 19hrs 58mins for delivery Tuesday 23 April using next day delivery at checkout. 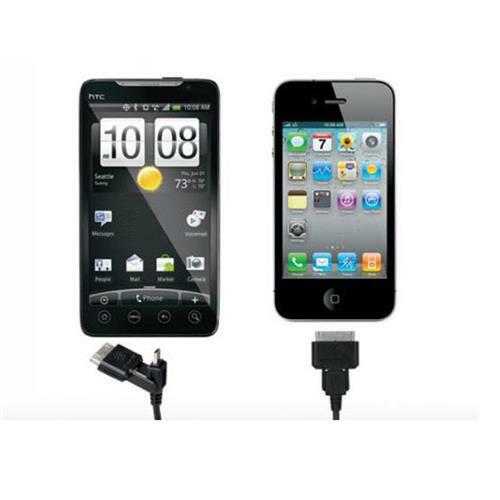 Charge and sync your iPhone, iPod or iPad and other smartphones all with this one cable kit. This kit will give you the freedom to manage all of your different devices without having to carry around 2 different cables. 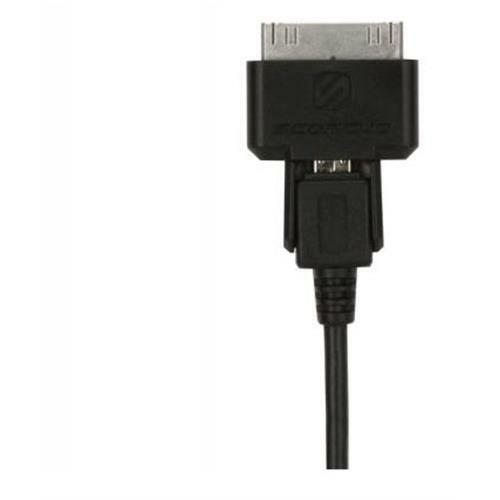 The 30 pin adapter slides on and off of the micro USB to give you two cables in one. 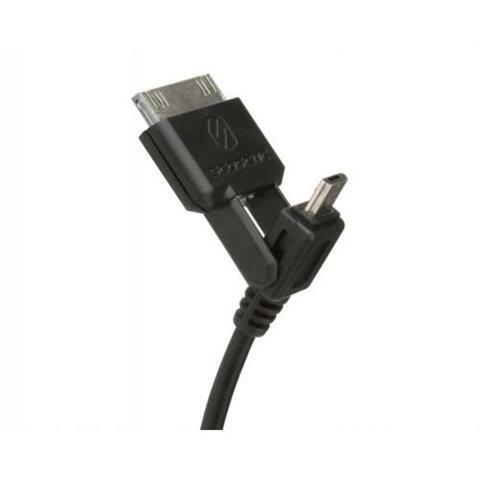 The integrated adapter allows you to charge and sync not only micro USB devices but also your iPod, iPhone or iPad. This is the perfect solution for on-the-go lifestyles and multiple device owners. 3 feet of cable length gives you impressive mobility and range. The syncABLE pro gives you the advantage of carrying less while being able to charge and sync more. Sliding adapter allows you to use the micro USB or 30 pin to charge and sync your devices. 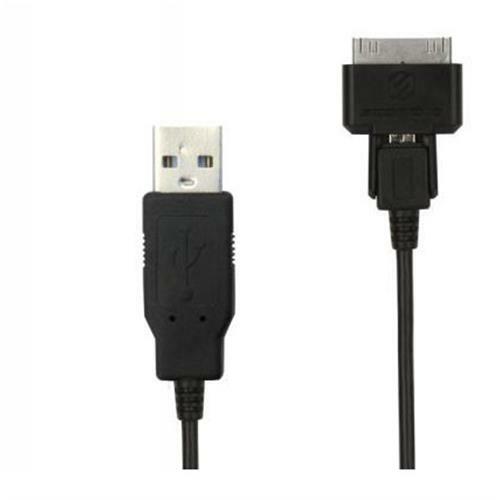 USB 2.0 cable for fast data transfer. 3 ft. black cable length. 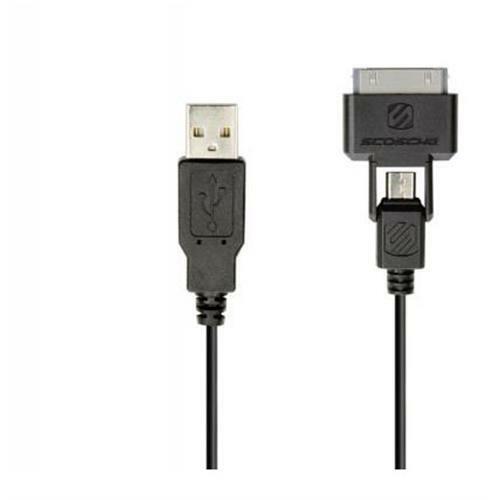 USB 2.0 cable for high speed data transfer. iPod touch (1st, 2nd, 3rd and 4th generation), iPod classic, iPod nano (1st, 2nd, 3rd, 4th, 5th and 6th generation), iPhone 4, iPhone 3GS, iPhone 3G, iPhone, new iPad, iPad 2 and iPad, Android devices, BlackBerry, Smartphones, Cameras, Gaming devices and other micro USB devices.